As a manufacturer of commercial laundry equipment for more than 100 years, Speed ​​Queen is now the world’s No. 1 in self service laundromats. Speed ​​Queen, the self service laundromat. Our washing machines, dryers and other ancillary equipment are the result of decades of research and development, guaranteeing unmatched quality and durability. At the cutting edge of technology, Speed ​​Queen also offers innovative and interactive features that make the machines simpler and more intuitive to use. Ergonomics and design are also aimed at optimizing daily use. Speed ​​Queen’s proven performance is no idle boast! Our machines have proven themselves in domestic use but also, indeed above all, in the commercial laundry sector, where their robustness and efficiency is put to the test day after day, without ceremony. 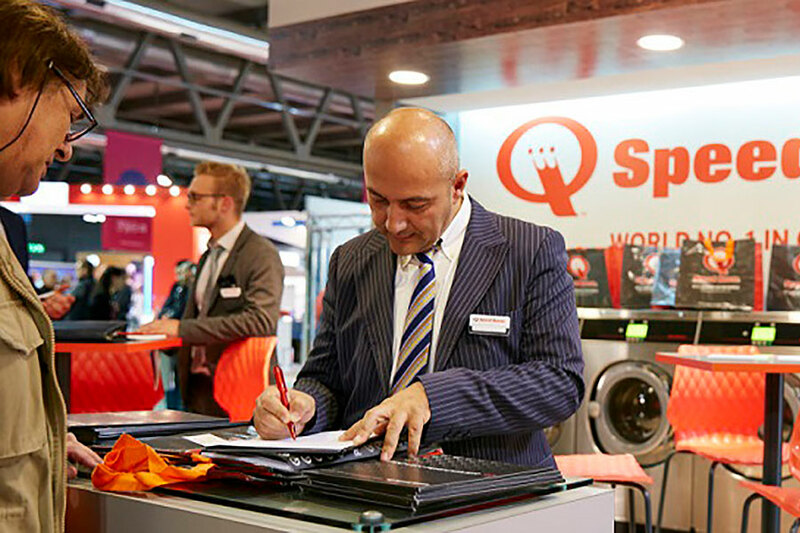 This reliability is one of the keys to the success of the Speed ​​Queen self service laundry concept. Ubiquitous in the United States, this cost-effective and crisis-proof concept is now being exported worldwide. 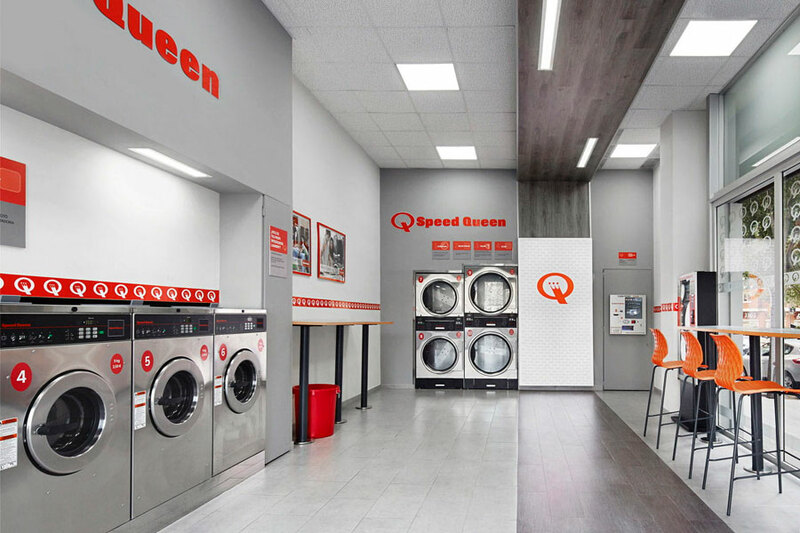 With its expertise and long experience, Speed ​​Queen offers personalized service and support to its investor partners to open cost-effective self service laundromats, mostly calling for only a very small investment. By choosing Speed ​​Queen, you have the advantage of the quality and expertise of the world leader in self service laundromats. Our experts guide you throughout the whole process of opening a Speed Queen project. A turnkey project, simple and accessible to all! Contact our consultants to find out how to generate profits with a self service laundromat. You too, can be part of Speed ​​Queen’s worldwide success!